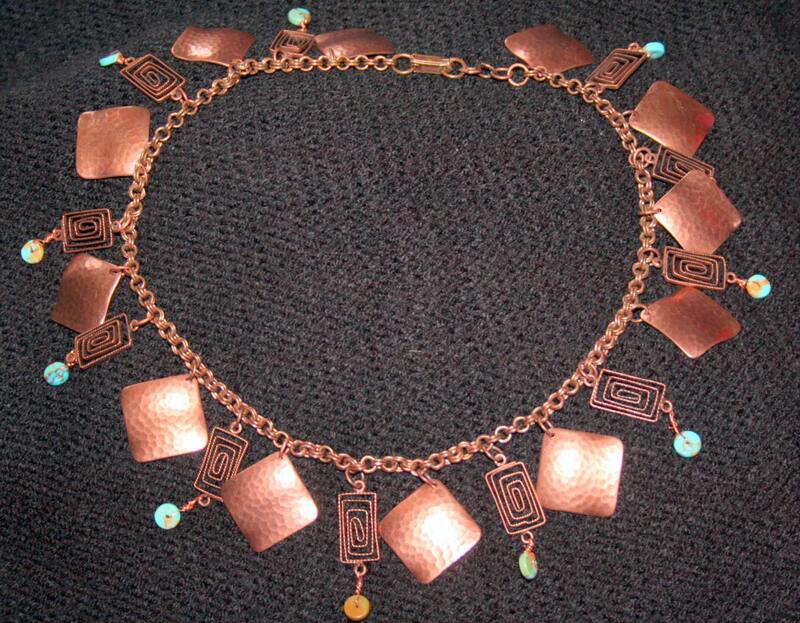 This necklace is made from hand cut and hammered sheet copper and wire wrapped rectangular spirals suspended from a beautiful double-linked chain. The spirals have a flat turquoise disc wire wrapped onto them for color and texture. The necklace is 19 inches long and nestles in the heart line of the neck and secures with a box clasp. It does make a little music of its own when worn. It looks fantastic on a black turtle neck or with a plunging neckline. It is truly a one of a kind design. 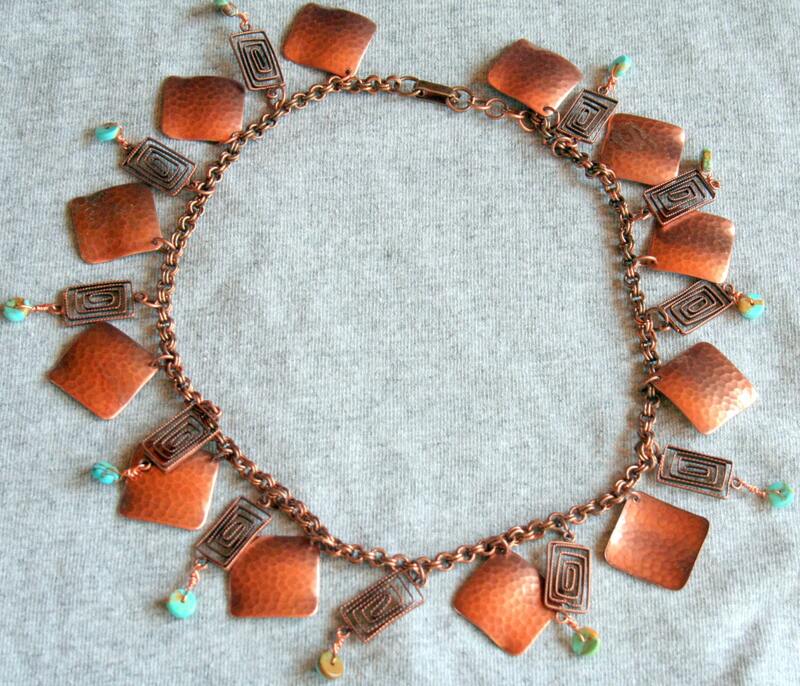 I can also make this same piece in silver or antique gold although the foundation chain may vary from the copper one.